You’re a man on the go. You care about what you wear. You always want the best and you are not ready to give up performance, looks, and style. You feel ready to set the tracks on fire, but all that different types of running shoes, running socks, and sweat towel nonsense just does not work with your schedule. You want to slam the door behind you and subdue the tracks, break some sweat, and accomplish your marathon goals. Obviously, for a man going for a run, road running shoes are the way to go. However, finding the best running shoes for men can be tough, so I have put together this resource – a one-stop-shop, all-inclusive guide to help you find the running shoes that fit your feet. 2 What is a Running Shoe? 2.1 1. What are Road Running Shoes? 2.2 2. What are Trail Running Shoes? 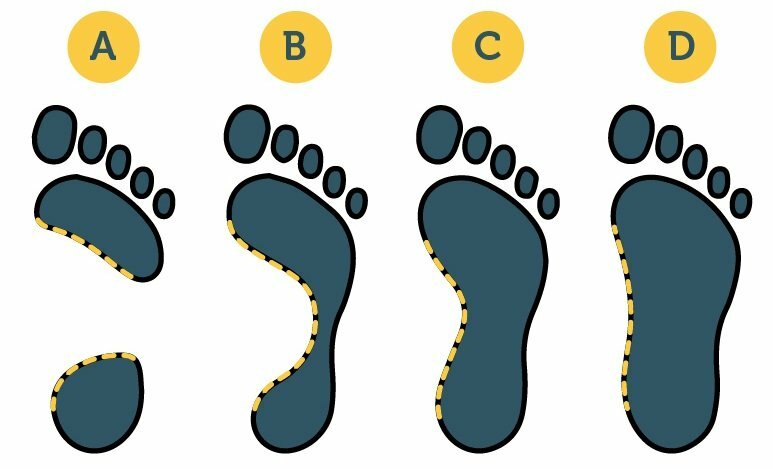 3 What is Your Foot Type? 4 What is Your Foot Pronation Type? 4.1 1. What is Supination? 4.2 2. What is Normal Pronation? 4.3 3. What is Overpronation? 4.4 4. What is Severe Overpronation? 5 What are the Types of Running Shoes? 7 How to Choose Proper Running Shoes? 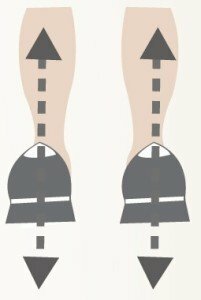 8 How to Ensure That Your New Running Shoes Fit Properly? The comparative guide above is divided into 5 columns. Rating – This is our rating on a 1 to 5 scale. These ratings reflect user satisfaction. As you can see from the table above that there are many options available to you when it comes to picking a pair of running shoes. But how can you know which one is the best one for you. After all, there are too many brands and different models that exist, thus making it difficult to decide which one to buy. 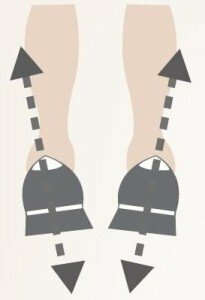 Not only there are too many options, but you also have to know which one to buy based on your feet type and your gait type. While determining how to choose the best running shoes, your choice of running shoes can make the difference between having a good or bad experience, running in comfort or pain, and, most importantly, whether you stay healthy or get injured. Choosing a running shoe can be an overwhelming task given all the high-tech shoes available today and all the special features each running shoe claims to have. I hear what you are saying. Buying the right pair of running shoes does not have to be this complicated. Fortunately for you, I have made an easy to follow buying guide. All you have to do is follow the steps that I lay out for you. This guide answers all the questions that you may have regarding running shoes. What is your Foot Pronation Type? What are the types of running shoes? What are the top 5 Best Running Shoes for Men? A running shoe is a type of footwear designed for running, jogging, or some form of physical exercise. Running shoes are also known as athletic shoes. Around the world, running shoes are known by different names such as sneakers, tennis shoes, joggers, runners, or gym shoes. No matter what the different names are, these shoes serve the same purpose which is to be the primary type of footwear for most forms of physical activity. 1. What are Road Running Shoes? Road running shoes are for pavements and surfaces with only slight irregularities. This type of running shoes are light and comfortable and include a cushioning material inside the shoe that absorbs impact, tread wear that supports a specific function, and a flexible sole to support the feet arch. 2. What are Trail Running Shoes? Trail running shoes are for off road routes. They normally come with aggressive out soles for solid traction. These shoes offer stability, support, and under foot protection. In most cases, the outer sole is made of carbon rubber. Most manufacturers have custom made running shoes to fit various foot arch types. Pour water into a flat pan. Wet the bottom of each foot. Stand normally on a paper bag for a minute. Step off and observe the imprint left by your foot. Trace the outline with a pencil or a pen. Still not sure if you have done the Wet Test correctly? Then, just watch the following video that shows you how to determine your foot arch. If there’s a little or no sharp curve along the inside of your foot and your foot imprint shows no band between your heel and toe, then your feet type is high arch. People with high arches typically don’t pronate enough. This is why they are called underpronators or supinators. If there’s a distinct and a very sharp curve along the inside of your foot with a thin band less than half the width of your foot connecting the heel and toe, then you have a normal or mid arch. If there’s very little curve along the inside of your foot and your imprint shows a thick band a little less than width of the entire foot, then you have a low arch. People with low arches are more likely to overpronate (roll too far inward). This is why they are called overpronators. If there is almost no curve along the inside of your foot and your imprint shows almost all of your foot, then you have a flat foot with no arch. People with completely flat feet overpronate severely (excessive roll too far inward), which can lead to overuse injuries. So now you know your foot arch type. Then let us get to know your foot pronation type or gait type and see how it matches with your foot arch type. You may first ask yourself what is pronation anyway. Well, pronation of the foot is the inward roll of the foot while walking, jogging, running or sprinting. In other words, pronation is the rolling of the foot from heel to toe through the foot strike. A neutral or normal pronation is hitting the outside of the heel and up to ball of your foot evenly across the front. This is how your foot reduces the stress of impact. Now, let us see pronation in motion in the following video. At this stage, you are feeling good about yourself. You know your foot arch type and you understand pronation as well. You feel you are ready to go and purchase your brand spanking new running shoes. But hold up just a bit. Did you know that there are in fact four different types of pronation? Now let’s take a look into each of these pronation types in detail. Supination which is also known as underpronation happens when your foot rolls outwards instead of normally rolling inwards. 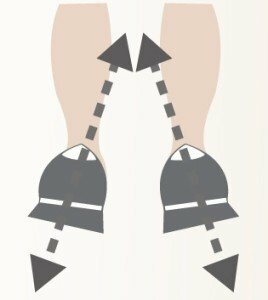 In case of underpronation, the outside of your heel strikes the ground first but the foot does not roll inward during the pronation cycle. Instead it stays on the outside causing the impact to be concentrated on a smaller portion on the lateral side of the foot. This places extra stress on the foot. 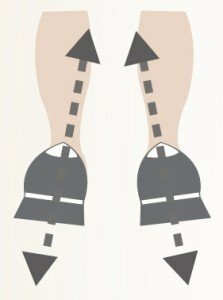 Supination or underpronation can also be defined as having less inward roll of the foot which results in insufficient impact reduction at landing. Supination puts extra stress on your feet which can lead to stress fractures. Another effect of supinaton on your health is constant pain in your legs. This pain is caused because your arches do not collapse enough to absorb it. Another way to visualize supination is when the foot impacts the ground and there is not enough of an “inward roll” in the foot’s motion. The weight of the body isn’t transferred at all to the big toe, forcing the outside of the foot and the smaller toes which can’t handle the stress as well to take the majority of the weight instead. 2. What is Normal Pronation? Normal or neutral pronation happens when a little rolling occurs between footfall and toe-off. Normal pronation is body’s natural and regular movement. With normal pronation, your feet experience a healthy amount of pronation. If you have normal pronation, then you will notice that more of the toe are is used when pushing off the ground. With normal pronation, the middle to slightly outward part of your heel strikes the ground first. Then the foot rolls inward slightly while absorbing shock more effectively. This action allows your feet and ankles to properly support the body. Overpronation is inward rolling motion as the foot progress towards toe-off. In overpronation, the outside of the heel strikes the ground first and the foot rolls inward. If you have low arched feet, then you most likely overpronate. Runners who overpronate are called as overpronators. In case of overpronation, you tend to push off completely from the big toe and second toe. Overpronation casues a poor shock absorption which means that the shock from the foot’s impact doesn’t spread evenly throughout the foot and the ankle has trouble stabilizing the rest of the body. 4. What is Severe Overpronation? Severe Overpronation happens when you have an exaggerated inward rolling of the foot and poor shock attenuation. In case of severe overpronation, the outside of the heel strikes the ground first and the foot rolls inward excessively. As a result the foot and ankle cannot stabilize the body properly. Severe pronation causes poor balance in movements as well. With severe overpronation comes improper gait and movement balance, which makes it is quite easy to have foot injuries. 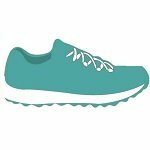 Now that you have seen all the four types of pronation in detail, it is about time that we discuss different types of running shoes that complement your pronation type and foot arch type. The table below shows which type of running shoe you should wear based on your foot arch type and your pronation type. Now that you’ve determined the type of running shoe you need based on your physical features, one other important characteristic you’ll need to look for is shoe shape. You can see the shape most clearly by looking at the bottom of the shoe. Underpronators or supinators should choose running shoes with a Curved shape. Normal or neutral pronators should choose running shoes with Semi-Curved shape. Severe Overpronators should choose a running shoe with a Straight shape. If you have high-arched feet and underpronate, you should choose a Cushioned or Neutral running shoe. Cushioned shoes allow your feet to roll inward (absorbing shock), have a curved shape to encourage foot motion and have the softest mid sole with the least medial support. If you have normal or mid arches and pronate normally, choose a Guidance running shoe. Guidance running shoes offer a good blend of cushioning, medial support, and durability. They often have a semi-curved shape and don’t restrict foot motion. If you have low arched feet and overpronate, then choose a Stability running shoe. Stability shoes offer a good blend of medial support and durability. They often have a straight shape and don’t control foot motion as strictly as motion-control shoes. If you have flat feet and overpronate severely, choose a Motion-Control running shoe. Motion control shoes prevent your foot from rolling in too far, have a straight shape that gives maximum support to your foot and are the most rigid, control-oriented running shoes. So there you have it. A simple yet thorough guide on how to pick the best running shoes for men. All you have do is to check your foot arch type, observe how your ankles move or watch how they pronate, and then pick the right pair of running shoes accordingly. But wait, we are not done yet. Let’s take a quick look at the five best running shoes that are available in the market only for men and see how well they live up to expectations. So, stick around…. The ASICS GEL-Cumulus 16 is the undisputed king of running shoes on the market for mild or neutral pronators. It is one of the best guidance running shoes for runners with mild arches. Don’t just take our word. Most athletes and reviewers agree without batting an eye. So what is so special about these bad boys? Building upon the award-winning GEL-Cumulus® series which keeps getting better, the sixteenth version is sporting a top-of-the line FluidRide™ midsole and larger Rearfoot and Forefoot GEL® Cushioning units. These running shoes come with an updated Guidance Trusstic System® and are most suitable for neutral pronators. Even our underpronating running champs can take advantage of the advanced cushioning technology of these running shoes. It is not a bold statement that the GEL-Cumulus 16 is the most popular shoe on the market for most runners. ASICS is set to break all benchmarks with these running shoes and has done so in the past. Even if you are an impulsive buyer, you still won’t go wrong with these pairs. People make way for New Balance 990V3, one of the best stability running shoes. This shoe is a jaw-dropper, designed to maximize the performance of flat feet runners on practically any type of terrain. It is engineered specifically to overcome overpronation and that too, fashionably. It has a classic design with a crazy universal appeal – a pair of shoes that can never go unnoticed. Additionally, the features it boasts provide runners with flat feet, equal opportunities to outdo competition and we mean it literally. Here’s a quick overview of the features we are talking about, the suede and mesh upper provides it outstanding breathability and a stunning visual appearance. Its patent ABZORB midsole and ENCAP technology enhances stability and promotes healthy gait. The soft and firm density foam inside the shoe offer unmatched cushioning, greater shock absorption and support that flat feet runners appreciate. It’s slightly pricey but in our opinion, the features and the design make up for the cost charged. The Brooks Beast 14 is the undisputed best motion control running shoes. There are not many motion control running shoes in the market, since there are a fewer number of runners suffering from severe overpronation. But kudos to Brooks for making running shoes for this niche market and dominating it. So, what does make the Beast 14 worthy of all the praise? The Beast 14 running shoe is a monster of stability, support, and cushion. It has a rugged and a tough new look befitting its name. It’s the ideal shoe for runners who tend to overpronate severely. The high degree of overpronation is corrected by the Progressive Diagonal Rollbar that provides better control and a smoother ride. Like other models, the adaptable cushioning of Brooks DNA in the midsole provides maximum comfort while the Segmented Crash Pad underfoot gives you seamless heel-to-toe transition. To put it briefly, the Beast 14 is loaded with all the right features for humble runners with flat feet. There is no other pair of running shoes that competes with Beast 14 in this category, a recognition rightly earned by Brooks. The Saucony brand is no stranger when it comes to top quality running shoes for every foot and pronation type. But then you may ask why this particular shoe? Firstly, the Saucony Hurricane ISO is built upon the legendary Hurricane line of running shoes. These shoes are designed for neutral pronators and are also on the best guidance running shoes for people on budget. You might ask me why another pair of guidance shoes? Well, research tells us that 60% of runners have medium or mid arch and are normal pronators. Hence, there are more running shoes in the market that support mild arch and normal pronation. So what do we know about these sneakers? Saucony tells us that these running shoes provide ultimate combination of fit, cushioning, and support. The new PWRGRID+ technology provides an ultra-plush ride, while the ISOFIT lacing system gives you a custom foot-hugging feel for every mile of your run. We saved the very best for the last. Yes, you got it right. Its none other than than the legendary ASICS GEL-Nimbus 16. It is hands down one of the best neutral running shoes available on the market. Time after time, the GEL-Nimbus® series by ASICS has won accolades across the board in every category. It is the undisputed king of the best cushioning running shoes. So what is so special about this pair? These running shoes provide excellent cushioning support. ASICS likes to boast about its FluidRide™ midsole and larger Rearfoot and Forefoot GEL® Cushioning technology, which basically means that from heel to toe, you get complete cushioning for your high arched feet. This translates to a super smooth run with very little slipping and pulling. Additionally, when its cushioning support is combined with an updated Guidance Trusstic System® and refined open-mesh upper, under-pronators or supinators will be treated to the lightest and most cushioned version of the GEL-Nimbus® series ever. This means comfort with no performance loss. Additionally, these running shoes are available in a really vibrant and varying color schemes system. At around $150, the price isn’t anything to sneeze at, but this is a very well-engineered running shoe, and it should last you a long time. How to Choose Proper Running Shoes? If you’ve already followed all the steps listed above, then you probably have a pretty good idea of what type of running shoe you should be looking for and how to choose the best running shoes for men. However, it is a good idea to go to a specialty running store (at least for your first running shoe purchase). The people who work in these stores are knowledgeable and will guide you to the appropriate shoe models. Here are some tips for a successful running shoe shopping trip. Go shopping for running shoes in the late afternoon when your feet are at their largest. Your feet will expand while running, walking or jogging. Bring your old running shoes with you when you go shopping. The degree of shoe wear will assist the salesperson in determining your degree of pronation. If you wear orthotics, bring them with you also. You need to see how the shoe fits with the orthotic inside. Do not make the most common mistake new runners make by buying the latest fad shoe. It is highly likely this will not be the ideal shoe for you. Make sure the salesperson measures both of your feet with a Brannock device. It is quite common that one foot is slightly larger than the other. You should be fitted for the larger foot. We made an awesome infographic on how to choose running shoes just for you. Be sure to check it out. How to Ensure That Your New Running Shoes Fit Properly? Just like clothes, a proper fit is the most important step in finding the right running shoe. A shoe that fits will be snug but not tight. A common mistake that most runners make is to buy shoes that are too small or too large. Watch the video below and use the guidelines to ensure a proper running shoe fit. Before I let you go and head over to your nearest shoe store, there are few precautions that I want you to take while running. These precautions can reduce the chance of injury and make your running a delightful experience. Use the following tips to avoid injuries. Land gently on your forefoot and gradually let the heel come down. Stretch your calves and Achilles tendon. Listen to your body and don’t do anything that cause pain or discomfort. Buy and wear minimal shoes for daily wear that lack high heels and stiff soles. Remember the tagline “This is the story of two men who run… not to run… but to prove something to the world. They will sacrifice anything to achieve their goals…” from the famous movie “Chariots of Fire.” Now it’s your turn to achieve your goals and live your dreams. You are already armed with all the knowledge regarding the best running shoes for men. Now it’s your turn to make your pick! Let me remind you that if you want to become a top runner; then there is nothing that can stop you. So, take control of your destiny and set out on the path to achieve the victory you desire. The only thing that stands between you and your goals is you yourself. Discover the best running shoes for men that fit your feet, enhance your running, improve your style, and meet your budget.